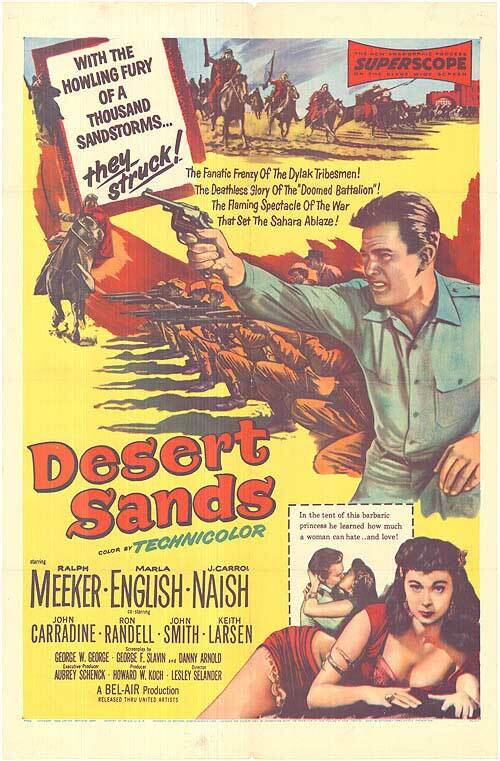 Ralph Meeker heads the cast as a bold legionnaire who falls in love with gorgeous Arab girl Marla English. Alas, Marla is the daughter of shiek John Carradine and the sister of vengeful Keith Larsen, both of whom have vowed to kill all Legionnaires within shouting distance. Larsen eventually discovers that his real enemy is not Meeker, but the duplicitous Carradine.